The Rogue Angel series continues with Solomon’s Jar. In this episode, It begins with Annja Creed outrunning mercenaries in South America. The novel opens with her archaeological research in an isolated village near the Amazon. Men With Guns show up and threaten to kill the entire village unless they reveal Annja’s location. 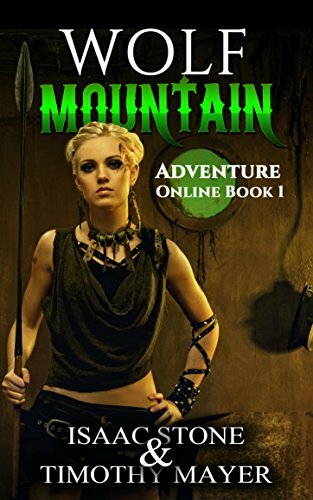 Before the desperadoes can get to work, Annja summons her sword and swings into action. Plus points for coming up with the most disgusting mercenaries this side of the Katanga succession. Naturally, Annja escapes and carries on her work. After a brief meeing with her mentor Roux, she’s off to Isreael in search of the legendary Jar of Solomon. Legend has it that King Solomon imprisoned a group of demonic beings in a magical jar and forced them to build his temple. Irregardless of the truth of it, someone has found a jar which resembles the one of history and someone else is willing to kill to get the artifact. Annja soon ends up in Amsterdam, where she meets an Englishman named Aidan Pascoe who spends the rest of the book with her running after/from the bad guys. The book turns into a splatterpunk novel at a few points with gruesome descriptions of the killings carried out by the adversaries. Annja is in the thick of it again. She’s threatened by Deep Ecological Extremists, pursued by Russian Mobsters, and squares off against New Age Zionists. In the middle of the book, we are introduced to a kabbalistic Jewish lady named Tsipporah from New Jersey, who just happens to be residing in Israel. She serves as the commentator for the action at the middle point. Solomon’s Jar wraps in a Brazilian metal fooundry. All the major factions introduced manage to end up in one location and shoot it out. The action is so over the top that it saves the novel. Just as one faction gains an upper hand, another shows to supplant it. I have to give the “Alex Archer” collection plus points for creativity in the remaining few chapters. 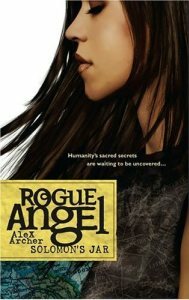 The second novel in the Rogue Angel series breaks no new ground, but it is a fun read. Exactly what was intended.